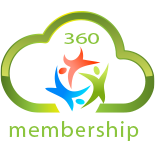 The secured administration area within 360 Membership™ software is where the administrators or managers of the organisation perform routine housekeeping and back office functions. This does not include the maintenance of the server(s) as in a Cloud environment (alternatively referred to as SaaS – Software as a Service) the vendor (Coconet Pty Ltd) provides and maintains the servers as part of our service which is covered by the annual fee. Setup date of member’s renewal timing. All features marked as optional may occur an additional fee to implement and execute. No standard fees can be quoted as each individual client will have their own individual needs, potentially vastly different in size and complexity.